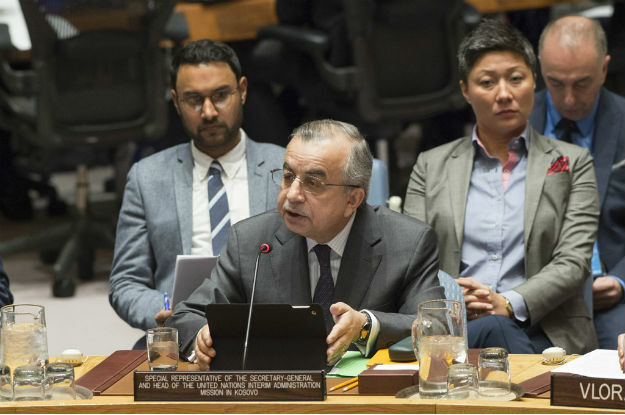 The chief of UNMIK, the UN mission in Kosovo, Zahir Tanin warned of rising tensions in Kosovo and weakening trust between Belgrade and Pristina during Tuesday’s UN Security Council session (16 May). EURACTIV Serbia reports. Following his speech, envoys from Serbia and Kosovo exchanged accusations over the lack of progress in the normalisation of relations. Tanin said that frequent elections in Serbia and Kosovo hampered the talks, which are currently at a standstill. The UNMIK chief cautioned that the Belgrade-Pristina dialogue was of key importance for improved relations. He also condemned a return to nationalist, intolerant rhetoric. In the UNMIK report, covering a period from 16 January to 15 April, UN Secretary-General Antonio Guterres expressed his concerns over the obstacles hindering progress in the Belgrade-Pristina talks and the implementation of agreements resulting from the negotiations and warned of growing nationalism. The dialogue has been at a standstill for several months now, due to tensions in relations sparked by various events, including the arrest of former Kosovo Liberation Army (KLA) leader Ramush Haradinaj in France this past January, on Serbia’s arrest warrant for crimes committed during the armed conflict of 1999. A French court in April rejected Serbia’s extradition request. Attempts to get the talks going again have failed. At Brussels’ initiative, top-level political delegations met early this year, but the meeting did not bring any progress. The postponement of the talks is also a result of events on the home front. Serbia had a presidential election on 2 April, whereas the Kosovo government collapsed in May and a snap general election was called for 11 June. The EU expects Belgrade and Pristina to resume their dialogue in a constructive spirit. A potential continuation is highly unlikely before the election in Kosovo and the forming of a new cabinet. Meanwhile, of all the open issues and unimplemented agreements, only the dispute over the bridge on the Ibar river has been resolved, as he bridge once again connects the northern, Serb, and southern, Albanian parts of Kosovska Mitrovica. After a series of statements started by Albanian Prime Minister Edi Rama, who spoke about a potential alliance of Kosovo and Albania if EU integration process fails, Belgrade has accused Albanian politicians across the region – in Kosovo, Macedonia, Albania and southern Serbia – of not giving up on the “Greater Albania” project. A recent statement by William Walker, the former head of the OSCE verification mission in Kosovo during the 1999 war, in which Walker said that he had an Albanian unification project covering Albanians in Kosovo, Albania and the Diaspora, was interpreted in the same way. According to Belgrade media, Walker said this at a ceremony marking the 17th anniversary of the founding of Haradinaj’s Alliance for the Future of Kosovo. Walker, 81, a former US diplomat, currently has no official position or job and is considered to be an Albanian lobbyist. Walker’s report on the crimes committed by the Serbian forces in the village of Racak, in Kosovo in 1999, served as an invitation for the NATO bombing of the then Federal Republic of Yugoslavia. 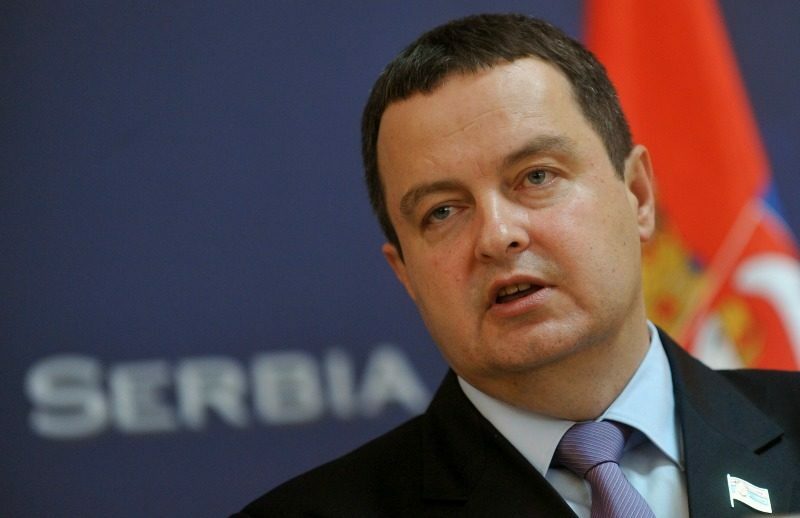 Serbian officials have announced they will file a complaint with the UN over his statement. Serbian Minister of Justice Nela Kuburović said at the 16 May session of the UN Security Council that Pristina had been using the talks and the normalisation of relations as a means to blackmail Belgrade and the European partners. She also criticised the French court’s decision not to extradite Haradinaj. She added that everything that was happening in Kosovo had started with “the lies promoted by people like William Walker, who doesn’t even hide his ambition to create a Greater Albania”. Serbian and Kosovar leaders agreed to continue talks after a meeting in Brussels on Tuesday (24 January). 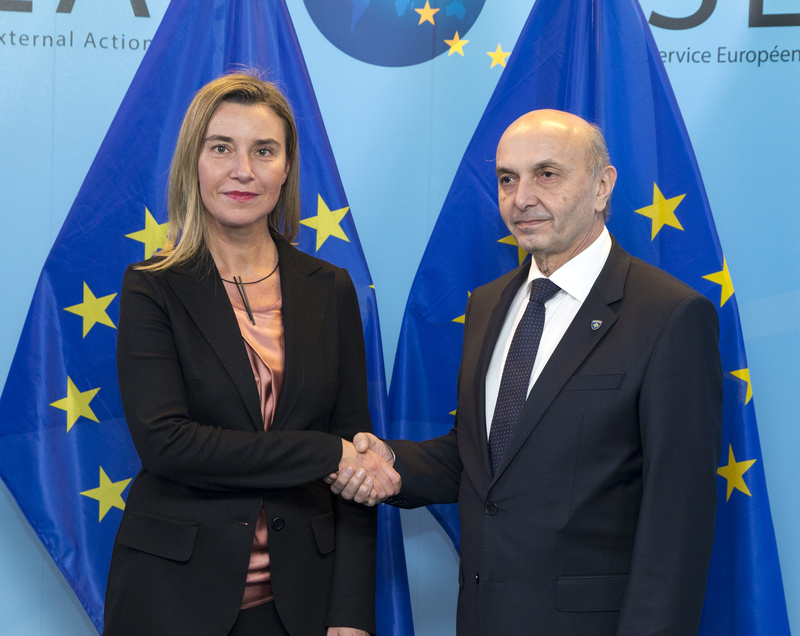 EU foreign policy chief Federica Mogherini said normalising relations was vital for the two countries but her guests only succeeded in antagonising the two sides. EURACTIV Serbia reports. “William Walker, who was at the helm of the OSCE’s Kosovo verification mission and who was obligated, as an official of the organisation, to act objectively and without bias, abused his mandate and the OSCE mission in order to achieve the goals that have been unveiled today and consist of the forming of an independent ‘Kosovo’ and a ‘Greater Albania’,” she said. Kosovo’s Ambassador to the US, Vlora Citaku said that Serbia was abusing the Belgrade-Pristina dialogue in the same ways it had abused Interpol in the case of Haradinaj, who had been released by a French court. She said that the reports that Albanians intended to create a Greater Albania were untrue and that their goal is to join the European Union. “Serbia has failed to face the crimes evidence was provided for. There is no Greater Albania. There are only the Albanians living in Kosovo, Macedonia, Montenegro and, of course, Albania, aspiring to be part of the European Union,” Citaku said. She said that Kosovo was an independent state and that Kosovo and Serbia could reconcile only after Serbia accepted responsibility for ethnic cleansing. 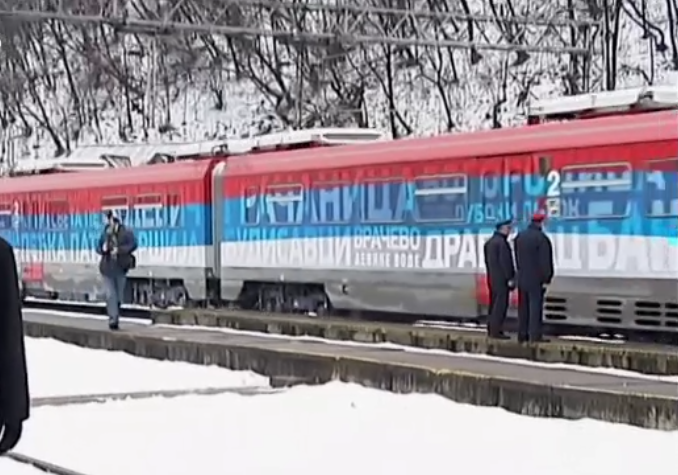 Serbia’s president said yesterday (15 January) that Kosovo had shown it wanted war with after it deployed special forces to prevent a train painted with Serbia’s national colours and the words “Kosovo is Serbia” from entering its territory. After the addresses by UNMIK representatives, Western ambassadors called for the reduction of UNMIK’s role in Kosovo, while the Russian representative said that Kosovo needed external supervision. Milovan Drecun, the chairman of the Serbian parliament’s Committee on Kosovo and Metohija said on Wednesday (17 May) that the Western ambassadors’ speeches at the UN Security Council session marked the start of a campaign for UNMIK’s withdrawal from Kosovo and an attempt to displace the Kosovo problem at the UN. “This is an attempt at pulling the Kosovo problem out of the U.N., where they cannot act anymore, and transferring that problem, as the UK Ambassador, Matthew Rycroft, put it, to Brussels. We will see a strong campaign and pressure to make Kosovo a member of UNESCO by the end of the year,” Drecun told the Serbian Broadcasting Corporation. Kosovo declared independence in 2008 and won the recognition of many states, including the world’s biggest powers, such as the U.S. Serbia refuses the possibility of acknowledging the independence of Kosovo and its admission to international organisations. The dialogue between Belgrade and Pristina was launched in March 2011 with EU mediation, for the purpose of resolving issues important for the functioning of Kosovo and for relations with Serbia. The agreements made refer to movement, car license plates, customs stamps, Kosovo’s participation in regional conferences and other issues. In the fall of 2012, the dialogue was raised to a higher political level. The result of the process so far is the so-called Brussels Agreement on the principles of normalisation of relations between Belgrade and Pristina, which envisages a certain level of autonomy for Serb municipalities within Kosovo. Such a pragmatic stance on Serbia’s part enabled its progress en route to the EU. The official condition for progress toward EU membership is the normalisation of relations between Serbia and Kosovo, whereas no one mentions Belgrade’s recognition of Kosovo. 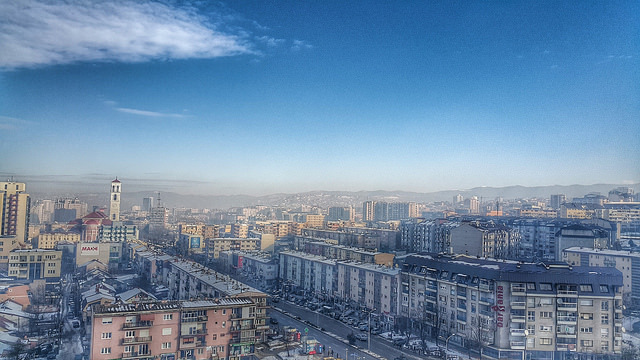 Several EU members have not recognised Kosovo, but most have.